For the first time in five quarters, the big three fast food giants — McDonald’s, Burger King and Wendy’s — posted same-store sales increases of greater than 3 percent. Put another way, burger sales are growing faster than the US economy, which rose by a meager 2.6 percent in the second quarter. The GDP in the US hasn’t produced an annual uptick of 3 percent or greater in the last 10 years. The burger chains are producing strong results because diners are eating at fast food joints more than at other restaurants, say industry experts. Wendy’s said on Wednesday that its same-store sales rose by 3.2 percent in the second quarter compared with a 0.6 percent bump a year ago. McDonald’s and Burger King both posted same-store sales in the US of 3.9 percent in the most recent quarter. A year ago, Burger King’s same-store sales rose by just 0.6 percent. “Usually, when one of the big three gets stronger, the other two get a little weaker, but what’s unusual now is that they all grew together and they all had positive foot traffic,” said John Gordon, principal of Pacific Management Consulting Group. Diners were lured by value meal promotions like McDonald’s McPick 2 for $5 menu and Wendy’s 4 for $4 Meals, said Kalinowski. Americans’ love affair with burgers doesn’t apply to everyone. Shake Shack, which sells premium-priced burgers, took a hit in the most recent quarter as it raised prices, driving away customers. Same-store Shake Shack sales dipped 1.8 percent, compared with 4.3 percent growth a year ago, the company said last week. As casual restaurant chains like Applebee’s and Ruby Tuesday see traffic erode, their C-Suites are looking as empty as their parking lots. Five national chains, which operate about 6,300 restaurants, are rudderless — without a CEO as the board has let go its former boss but can’t recruit a new leader. The latest CEO exit came Friday when DineEquity — which runs Applebee’s Neighborhood Grill & Bar and IHOP — said longtime Chief Executive Julia Stewart resigned. Stewart, a former waitress at the pancake chain who worked her way up to the corner office, stepped down amid a steep decline in the company’s financial performance. Same-store sales at the company’s 3,700 restaurants declined 5 percent last year, and its stock plummeted 9.6 percent Friday, to $60.14 on the news of the 16-year veteran’s departure. DineEquity will begin a CEO search but will have lots of company looking for talent. Ruby Tuesday, Papa Murphy’s, Fiesta Restaurant Group and Noodles & Co., which this week announced the closure of 55 locations, are each searching for a permanent CEO. All but Papa Murphy’s have been rudderless since last year. The problem facing many CEOs of casual family restaurant chains is that their concept is getting old and the menu no longer resonates with diners, industry experts say. Ruby Tuesdays, founded in 1972, has never been worse off. Colorado-based Noodles’ problem was that it grew too fast after its 2013 IPO. The pain in the casual segment extends beyond those without leadership: Ignite Restaurant Group, which operates about 130 Joe’s Crab Shack’s and Brick House Tavern & Tap eateries, is fighting to have its stock not get delisted; Bloomin’ Brands, which owns Outback Steakhouse and other brands, on Friday closed 43 underperforming restaurants. “You can walk into an Outback today and it looks nearly the same as it did in the 1980s,” when it was founded, Gordon said. Some Applebee’s franchisees are hopeful that the CEO turnover at DineEquity will shake up the status quo. It was a “great move toward Applebee’s march back to profitability in a difficult market,” said Zane Tankel, who runs 39 Applebee’s in the New York metro area. The restaurant industry is a difficult one. The country is saturated with restaurants. Consumers are fickle. It cost a lot of money to build units, which often results in heavy indebtedness and questionable financial deals. Add to this the pressure on company executives to expand, and you have a recipe for disaster when it comes to acquisitions. The past 15 years have seen a lot of very bad restaurant deals — so much so, that we struggled to limit this list to just five, gave up and listed six. We focused on larger deals, because smaller investments are inherently riskier and thus some problems can be expected. And some people might perceive a deal to be a bad one, when it really isn’t — you’d be shocked, for instance, how much money a private-equity group can make off of a seemingly bad restaurant deal. Now for the big deals. 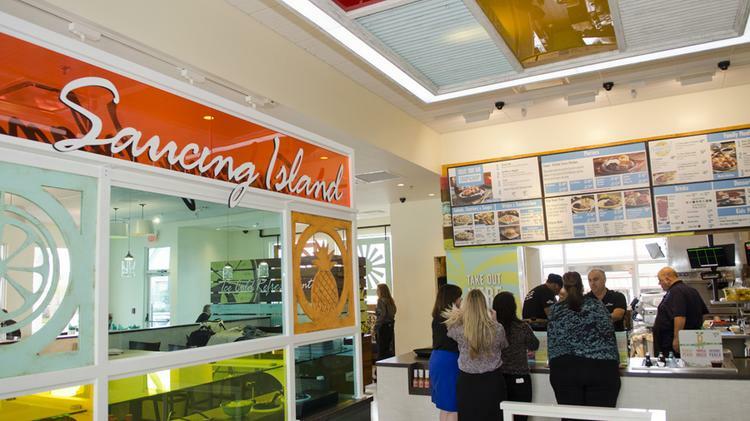 Fiesta Restaurant Group operates 19 Pollo Tropical units outside of Florida. The parent company of Taco Cabana and Pollo Tropical is shuttering 30 company-owned restaurants as it prepares to “relaunch” both brands. Fiesta Restaurant Group (Nasdaq: FRGI) announced Monday that it plans to close 30 Pollo Tropical restaurants in North Texas, Austin and Nashville. The closures will happen Monday, and where possible, impacted employees will be offered jobs at nearby Fiesta restaurants. Five of the locations in Texas could be rebranded as Taco Cabana units. With the closures, Fiesta will own 19 Pollo Tropicals outside of Florida, including 13 in Atlanta and six in South Texas. “(These restaurants will be used) to apply and prove successful regional strategies for future Pollo Tropical expansion beyond Florida,” Fiesta said in a prepared statement. 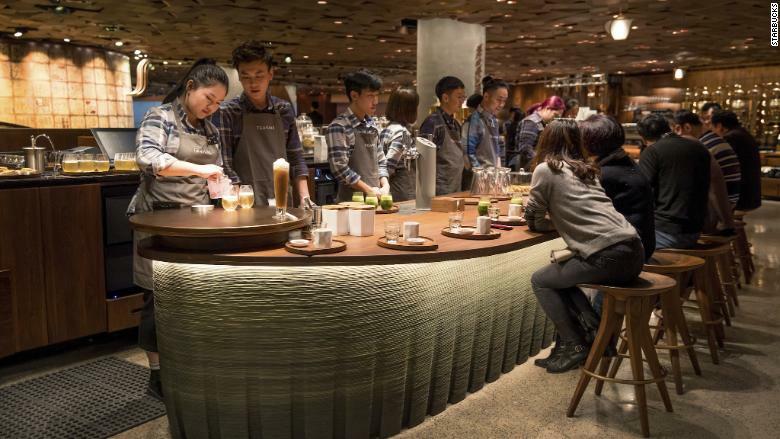 Closing the restaurants is expected to incur non-cash impairment charges between $33 million and $37 million during the first quarter, and another $9 million to $12 million in lease and other charges during the second quarter. This isn’t Pollo Tropical’s first round of closures in the past year. In November, the brand announced plans to shutter 10 units in Texas, Georgia and Tennessee,expecting to incur total charges between $20 million and $24 million. As a result, the company’s stock tumbled, and Craig Weichmann, founder of Fort Worth-based Weichmann & Associates, an investment banking consultancy specializing in restaurants, said Fiesta had landed itself in what he terms Wall Street’s “penalty box.” He predicted it would be a hard slog for the company to regain investor confidence and share price. Shares of opened at $22.90 on Monday, down more than 34 percent over the past 12 months. John Gordon, principal and founder of restaurant consulting firm Pacific Management Consulting Group , attributed Pollo’s latest round of closings to overexpansion and misaligning with customers’ tastes. But the company also announced Monday a “renewal plan” it says will aim to drive long-term value for both concepts. 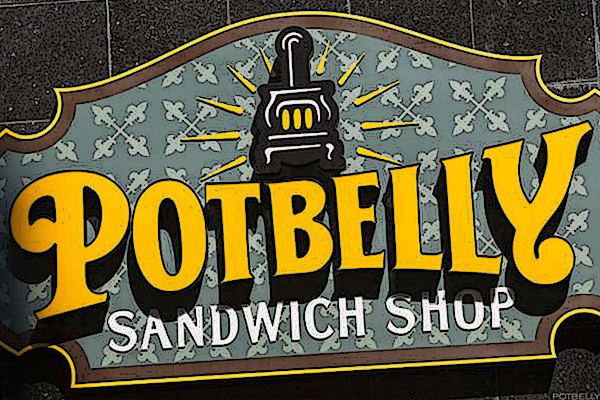 Among its initiatives will be relaunching the Pollo Tropical brand in September and the Taco Cabana brand later in the year. The relaunches will include differentiating the brands with new positioning, marketing and digital strategies; improving catering, delivery and online ordering capabilities; enhancing food quality and service; repositioning each brand for future growth outside core markets; and refining restaurant prototypes to maximize cash returns and appeal to more customers. Also in the plan are initiatives like implementing operational efficiencies and digital platforms, looking at pricing across Fiesta’s restaurant portfolio and curtailing new restaurant development until after the relaunch. In its Monday announcement, Fiesta reported comparable restaurant sales declined 6.7 percent at Pollo Tropical and 4.5 percent at Taco Cabana during first quarter 2017. The company blamed industrywide headwinds and sales cannibalization. Full first quarter results will be released May 8, with a conference call at 3:30 p.m.
News of Fiesta’s renewal plan comes after the company has been urged to look at options to increase value. In February, concerned by Fiesta’s “massive decline in value,” activist investor JCP Investment Management nominated three candidates to shake up the company’s board of directors. At the time, JCP, which owns 8.7 percent of Fiesta stock and is its third-largest institutional shareholder, said the company “refused to engage meaningfully” on the composition of its board and other corporate governance matters, adding that Fiesta’s current board has minimal ownership int he company and little restaurant experience. JCP has also criticized the board for allocating $70 million to expand Pollo Tropical in Texas, an effort that was suspended in September. And the firm said Fiesta has failed to recognize, or at least capitalize on, the value of Taco Cabana. In September, Fiesta scrapped plans to spin off Taco Cabana into its own publicly-traded company. Since then, Fiesta has added Paul Twohig to its board. Twohig, who joined in February, currently serves as president of Dunkin’ Donuts U.S. and Canada, and has experience at Starbucks and Panera Bread. The company has also said it will consider adding one of JCP’s board candidates and another member to be chosen by the board at a later date. However, JCP continues to push for the addition of two “highly-qualified director candidates,” it said in a letter to the board. “W e believe adding such individuals to the board would remedy the board’s apparent lack of restaurant expertise and avoid a seemingly unnecessary election contest, which we believe could only benefit the entrenched directors who we do not believe belong on the board,” the letter states. Fiesta declined to give further comment and said it would provide additional details in its quarterly earnings call. Like one of its iconic biscuits, Bob Evans Farms has been split in two. The New Albany-based company sold its restaurant division, which runs 523 stores in 18 states, to private equity firm Golden Gate Capital for $565 million. Bob Evans Farms’ packaged foods division, which makes mashed potatoes, sausage and other side dishes, will continue as a stand-alone, publicly traded company. Both companies will remain in New Albany at the recently built headquarters, where 400 work. 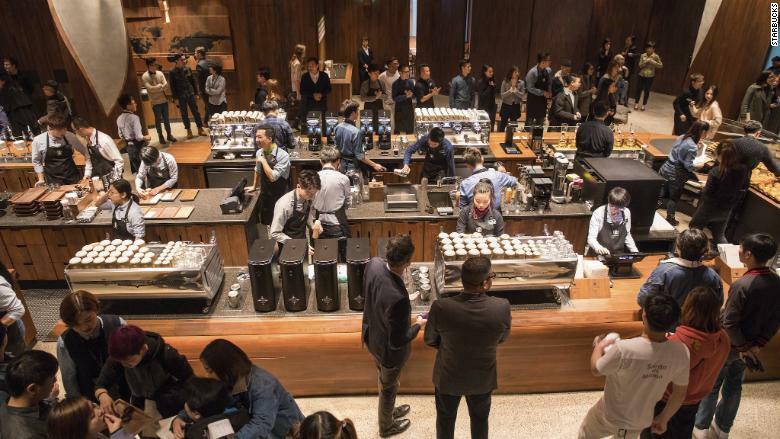 The restaurants continue to see a drop in sales as a slide in customer traffic and profitability has plagued the chain — and many like it in the causal dining segment — for years. The food division is on a different path, though. Bob Evans’ refrigerated side dishes, sold in grocery stores, are the national market leader, and double-digit sales growth has been the norm of late. Analysts have speculated about Bob Evans’ two divisions for a long time, with many believing the company would sell or spin off the packaged foods to focus on the restaurants. The switch to private ownership might give Bob Evans restaurants time to heal and find a way forward, Gordon said. Mohseni agreed. For instance, on March 4, 2015, investors whacked 22 percent off the value of Bob Evans’ stock after a poor quarterly earnings report. The stock has been almost stagnant since. Mohseni does not believe there will be layoffs or mass store closings in the wake of the deal. Bob Evans has closed dozens of stores in the past year or so and lopped millions from its budget through cost-cutting the past few years. There might even be some hiring, Mohseni said. As part of the restaurant-sale news, Bob Evans also announced the purchase of Pineland Farms Potato Co., based in Maine. Pineland Farms was a supplier to Bob Evans, and it helped to meet demand for its side dishes on the East Coast. The purchase will help the company grow in Northeast markets such as Boston and New York, Mohseni said. Pineland also comes with a 900-acre farm. Bob Evans Farms will continue management of its farm property in Gallia County. Golden Gate Capital is based in San Francisco and has some restaurant history. The firm owns Red Lobster and California Pizza Kitchen. It also once owned Romano’s Macaroni Grill. Golden Gate’s record, however, is spotty, Gordon said. While Mohseni follows Bob Evans restaurants to Golden Gate, Bob Evans Farms will be led by a new chief executive, Mike Townsley, who is currently president of the food division. Townsley has been with Bob Evans since 2003. The proceeds of the sale of the restaurants will be at least $475 million and will be used to pay down debt and issue a special dividend of $7.50 for every share of stock. Activist investor Thomas Sandell, who holds about 8 percent of Bob Evans shares, will receive more than $12 million with the special dividend. Sandell lobbied the company for more than two years to sell its real estate, cut costs and find a way to split up the company for maximum value. Sandell was not available for comment. Mohseni said the two companies will continue to work closely given that each is integral to the other. The food division sells sausage and mashed potatoes to the restaurants. The split isn’t unprecedented, though history has not been kind to restaurants in such deals, Gordon said. McDonald’s may have served billions and billions, but these menu items, ranging from gimmicky to outright failures, will likely never be served again. To the many who succumb to late-night cravings, McDonald’s drive-thru can be a beacon of fast-food hope. But without a car, the dreams of indulging in that burger desire are dashed. A blind man from Louisiana wants the fast-food giant to come up with another solution for those who physically can’t drive through a drive-thru. Scott Magee, who is blind, filed a lawsuit in May alleging that only offering service to customers in cars at drive-thru windows when the interior of the store is closed is a violation of the Americans with Disabilities Act. A federal judge in Chicago ruled Wednesday that despite McDonald’s attempts to have the case dismissed, Magee can go forward with the suit, which seeks class-action status. Many McDonald’s locations operate only as drive-thrus late at night as a security measure. The suit says that cuts off service to disabled customers, like Magee, who don’t drive. 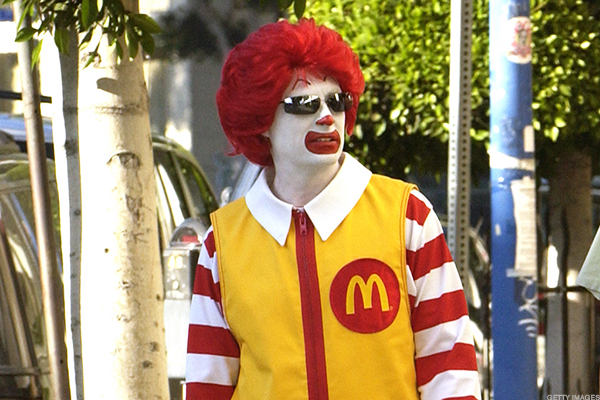 The suit isn’t asking McDonald’s to allow people to start walking through drive-thrus. That’s unsafe, said Costales, who also has an office in Chicago. It asks the fast-food chain to find some other way to serve customers without cars when only the drive-thru is open. McDonald’s representatives did not respond to requests for comment, and attorneys representing the company declined to comment. A possible solution, Costales said, would be allowing people to order ahead and have an employee bring the food out to them. McDonald’s could do that with its app, he said. The company, which is planning to move its headquarters from suburban Oak Brook to Chicago’s West Town neighborhood, rolled out a mobile app in 2015 and is expected to launch a mobile order-and-pay function sometime this year. But McDonald’s has been behind on its app compared with a slew of fast-food competitors. Taco Bell launched a mobile order-and-pay option in 2014. Kentucky Fried Chicken and Chick-fil-A announced mobile-pay apps last summer. “From a corporate standpoint, they are the ultimate battleship that just takes forever to turn,” said John A. Gordon, founding principal of San Diego-based chain restaurant consultant Pacific Management Consulting Group. McDonald’s is working on it, but it works with thousands of franchisees, and there are logistics to contend with surrounding mobile order-and-pay options, among other issues, Gordon said. In the complaint, filed in U.S. District Court in Chicago, Magee called out a McDonald’s near his home in Metairie, La., as well as two locations he visited in San Francisco and Oakland, Calif. The court ruled Wednesday that Magee had standing under the Americans with Disabilities Act to sue regarding the Louisiana restaurant since he is likely to visit again. It also ruled that he could seek damages related to the two other locations under a California law.